Tonight, Tuesday November 11. 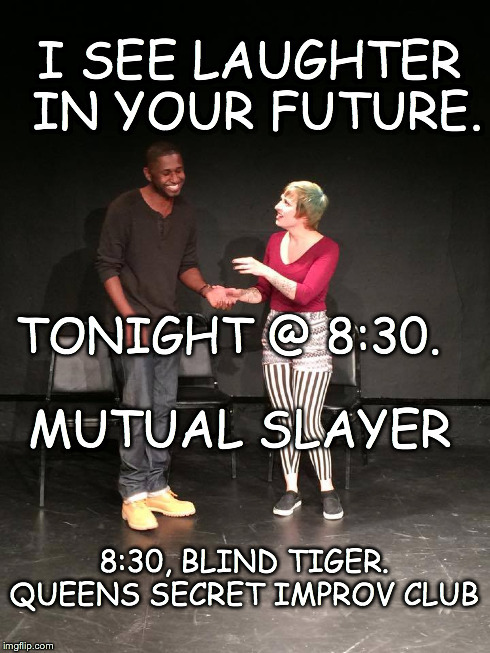 One of my teams, Mutual Slayer, is performing at the Queen’s Secret Improv Club, in Long Island City! A poster for our show tonight! We are part of a show called “Blind Tiger”. We are teams that are students of the Annoyance theater, an improv school that teaches classes in Brooklyn! 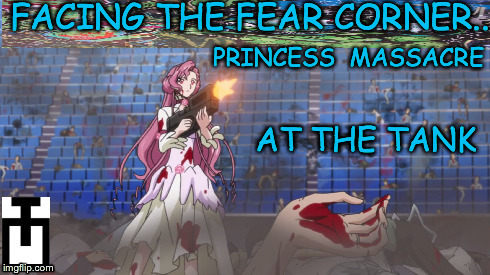 Friday, November 14th, as part of the “Fear Corner” at the Tank, Princess Massacre is performing. We are taking on our greatest fears, our fears are emotional vulnerability! We will be playing emotionally grounded scenes.